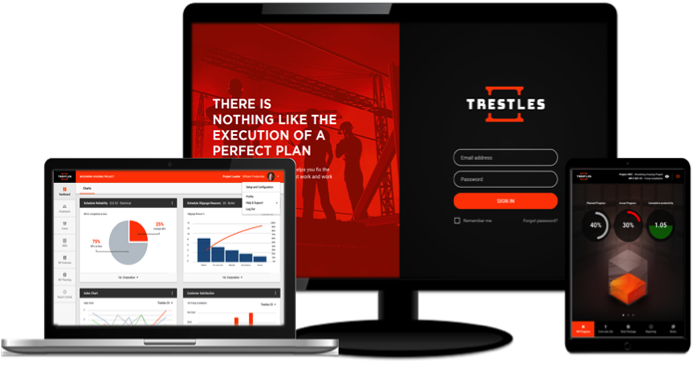 Trestles Labor Management System (TLMS) is a mobile software application with back-end functionality that enables construction planners and frontline supervisors to “break down” the work into a manageable set of tasks designated as a Work Package. Providing an efficient, effective means of Short Interval Scheduling and reporting of performance for field construction crews, our labor management system bridges the gap between more complex project management software and the needs of the frontline supervisor. Do your supervisors spend valuable time each day re-writing safety hazards & mitigation measures? Save time and standardize your process with TLMS! "The first software I have seen that is clearly designed by a contractor for contractors that self-perform their work. It’s not just the features but how the process of short interval planning, scheduling and reporting is built into the system."